Enjoy the top 73 famous quotes, sayings and quotations by Terry Wogan. Go out and face the world secure in the knowledge that everybody else thinks they are better looking than they are as well. Treasure is the kind of thing you dig up ... or bury! And when people say, 'Oh, he's an icon,' well, an icon is a very old painting hanging in a Russian church! If you want to say something, say something nice about me. Don't call me a national treasure. I'm not big on the pasty because they say the pastry in the pasty can bring on indigestion. 'Senior Citizen' and 'Silver Surfer' are the new euphemisms. Unless you're a female presenter on TV, in which case you're ready for the knacker's yard at 35. Just as you should never confuse the law with common justice, intelligence should not be confused with common sense. Some of the brightest people in the world have no idea how to cross the road. I'm terribly shallow. I don't miss things once I have stopped doing them, and I don't miss people when I stop seeing them. We'll watch 'Britain's Got Talent,' 'X Factor,' 'Come Dine with Me' and 'Masterchef.' But we don't watch 'Big Brother,' which is rubbish. I certainly won't be tuning into the new series of 'Celebrity Big Brother' either. I think it's awful, exploitative and vulgar. 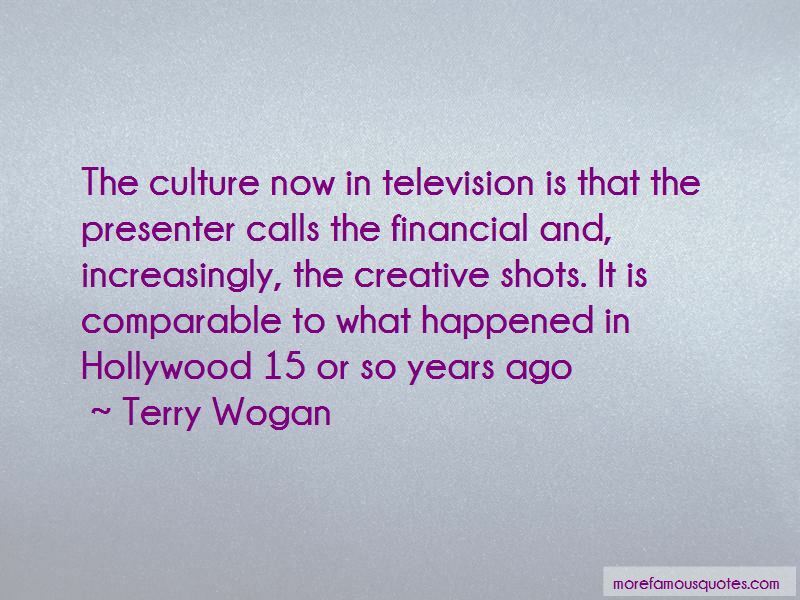 Want to see more pictures of Terry Wogan quotes? 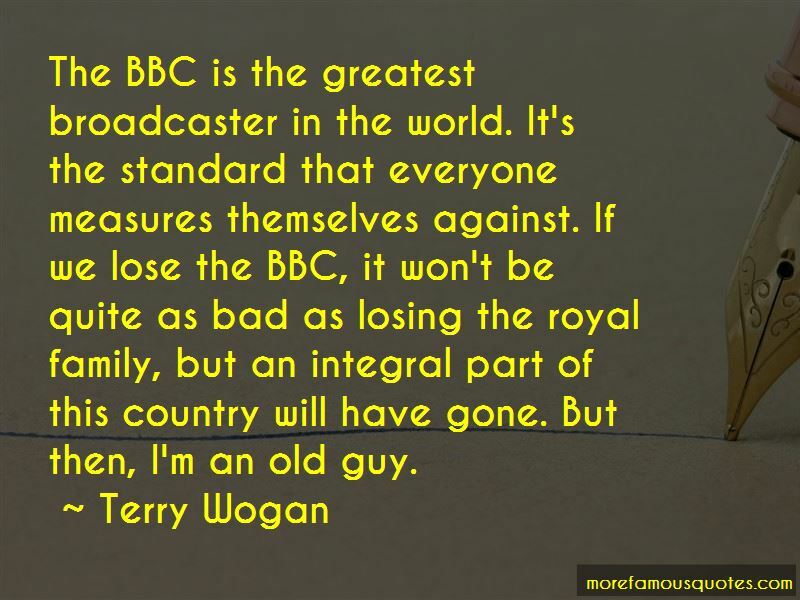 Click on image of Terry Wogan quotes to view full size.